In felicitous language, she enables us to see the world afresh. But there is always a distance, a sense of performance. For an epoch defined by mass attention-deficit disorder, Annie Dillard would seem to be the perfect antidote. Dillard, the author of the Pulitzer Prize–winning Pilgrim at Tinker Creek (1974), is devoted to patience and to presence. “It’s all a matter of keeping my eyes open,” she has declared. She is thoroughly and ecstatically attuned to her surroundings, willing to wait hours for a glimpse of a muskrat. Her words are painstakingly selected and arranged. The contrasts with our screen-tethered, logorrheic selves hardly need to be belabored. Dillard hasn’t written a book since the appearance of her novel The Maytrees in 2007, but now she has curated a new compilation, The Abundance, which includes the weasel essay. Though subtitled Narrative Essays Old and New, the most recent contribution (and apparently the only one not previously published in book form) is a 2002 essay from the literary journal Image. The Abundance is really a kind of greatest-hits collection culled from Dillard’s most famous books: excerpts from Pilgrim and Teaching a Stone to Talk, An American Childhood (1987), and The Writing Life (1989), among others. The pieces range from a brief, powerful account of a total solar eclipse to a long, somewhat cryptic essay that seems to compare attending church with visiting the Arctic. Cynically, the book could be seen as an attempt on the publisher’s part to squeeze some sales out of Dillard’s literary reputation. But it could also be read more generously: as a welcome occasion to discern the themes common to her work over time and to take stock of her legacy. 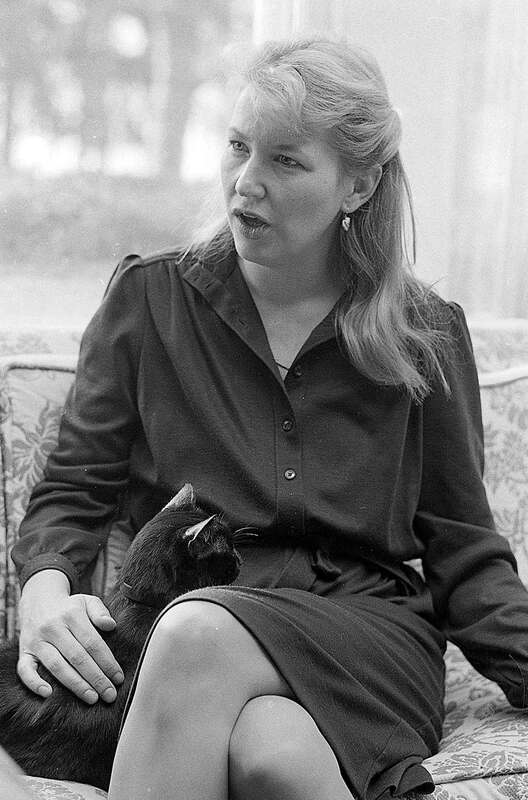 Annie Dillard (née Doak) was born in 1945 in Pittsburgh, then a thriving steel town ruled by a WASP elite to which her family belonged. She was the eldest of three girls, and her parents, for whom she demonstrates great affection in her childhood memoir, were wholesome bon vivants; they liked to tell elaborate jokes and throw parties where the entertainment consisted of bringing out a one-man percussion band. Hers was a world in which people knew and cared whether you were Protestant or Catholic, Italian or Irish. The neighborhood belonged to the children. “My mother had given me the freedom of the streets as soon as I could say our telephone number,” Dillard writes in An American Childhood. When she was in her 20s, Dillard lived in Virginia’s Roanoke Valley, whose waterways and wildlife she would vigilantly observe in Pilgrim. She made it plain that she took her inspiration from another pilgrim’s sojourn, at Walden Pond: “I propose to keep here what Thoreau called ‘a meteorological journal of the mind,’” she wrote. But in contrast to Walden, Dillard’s book is starkly free of context. She shares no memories of her past, no statement of her motives, no description of the house she inhabits. (This silence is explained in part by her circumstances. According to a recent article in The Atlantic, she was living with her husband at the time, but the book is a portrait of her exploration of solitude.) Unlike Thoreau, who holds forth on topics ranging from patched pantaloons to the spread of the railroad, Dillard offers no opinions about society. Instead, we are privy strictly to her perceptions of the natural world and the reflections they provoke. It’s a realm where coins are everywhere discoverable, hidden only to those who willfully disregard the arrows. At Tinker Creek, “There are lots of things to see, unwrapped gifts and free surprises. The world is fairly studded and strewn with pennies cast broadside from some generous hand.” For Dillard, the world is crowded with marvels: sand grains, spiders, mist at dusk. As she repeatedly stresses, the marvels are unmerited, as opposed to rewards that we somehow earn. They are, in the religious diction she often favors, a matter of grace. In his incisive foreword to this new collection, Geoff Dyer praises Dillard for avoiding the “three ills of which nature writers should live in permanent dread: preciousness, reverence, and earnestness.” In my view, Dillard doesn’t avoid reverence, nor should she. But it’s true that she is often irreverent, in a way that can be surprising, even somewhat shocking. Refusing to limit herself to passive observation, Dillard is not averse to disturbing the life she encounters. She wouldn’t, you suspect, heed the pleas of the signs we see at state parks and on hiking trails to leave only footprints and take only memories. She collects praying-mantis egg cases and takes them home. She tries to scare frogs. After reading that ancient Romans believed that echoes could kill bees, she goes for a walk and tries (without success) to test this theory. Similarly, Dillard sometimes comes across as strikingly blasé about suffering. On a trip to a South American village, she relates, she and her party saw a deer struggling to escape from a rope trap. “Its skin looked virtually hairless, in fact, and almost translucent, like a membrane. Its neck was no thicker than my wrist; it had been rubbed open on the rope, and gashed…. The raw underside of its neck showed red stripes and some bruises bleeding inside the skin.” Later, she eats meat from a deer that had been caught in the same manner the previous day. “It was good,” she notes. “I was surprised at its tenderness. But it is a fact that high levels of lactic acid, which builds up in muscle tissues during exertion, tenderizes.” She seems intent to communicate her lack of faintheartedness, her lack of illusion about pain and the satisfactions that depend on it. Another kind of essayist already holds a clear and firm belief system, and the essay’s act of discovery comes from applying that outlook to various subjects. Thoreau is one such essayist. The late Ellen Willis is another; her posthumous 2014 collection showcased her enduring commitment to a specific strand of feminism, defined by freedom and pleasure. Dillard, too, is of this second camp—for better and for worse. Certain episodes of suffering haunt her. When she was a child, one of her schoolteachers put the cocoon of a huge Polyphemus moth in a Mason jar so that the students could watch it emerge. But something went wrong: The moth didn’t have enough room to spread its wings and was permanently crippled. “He was a monster in a Mason jar. Those huge wings stuck on his back in a torture of random pleats and folds, wrinkled as a dirty tissue, rigid as leather.” Later, at recess, the young Annie saw that it had been let out, onto the driveway next to the playground. “Someone had given the Polyphemus moth his freedom, and he was walking away.” There is something devastating about her word choice here: Insects don’t walk; they fly or they crawl. The image of the walking moth lets us see its disfigurement, while also making it (or, in Dillard’s pronoun, “him”) feel poignantly human. Cruelty is a mystery, and a waste of pain. But if we describe a world to encompass these things, a world that is a long, brute game, then we bump against another mystery: the inrush of power and light, the canary that sings on the skull…. [T]here seems to be such a thing as beauty, a grace wholly gratuitous. Dillard’s writing is also much like a show, often a beautiful one. In felicitous language, she enables us to see the world afresh. But there is always a distance, a sense of performance, and this feeling is reinforced by the curious paucity of people and relationships in most of her work. Pilgrim features only a handful of neighbors, essentially as extras; even the affectionate portraits of her parents in An American Childhood feel like sketches.